When a construction project begins, it usually takes a matter of a few months to complete. 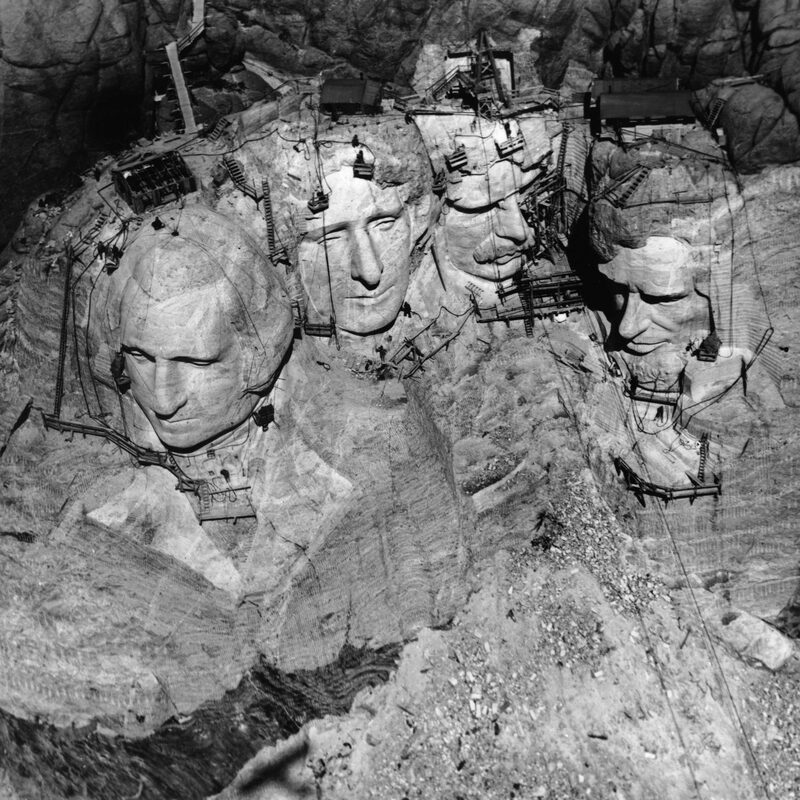 That is not how it works when carving a large sculpture, such as Mount Rushmore. Mount Rushmore National Memorial is a sculpture carved into the granite face of Mount Rushmore, a batholith in the Black Hills in Keystone, South Dakota, United States. It was the vision of Doane Robinson, who thought that carving the faces of famous people in the Granite of the Black Hills region, would bring tourists to the region. Robinson’s vision has proven to be an amazing success. His original idea was to put the sculpture in the area of the Needles, but the chosen sculptor, Gutzon Borglum rejected the idea because of the poor quality of the granite, and strong opposition from the Native American Groups in the area. I’m glad it didn’t go in the needles area, because they have a beauty all their own, and it would have been a shame to change them. 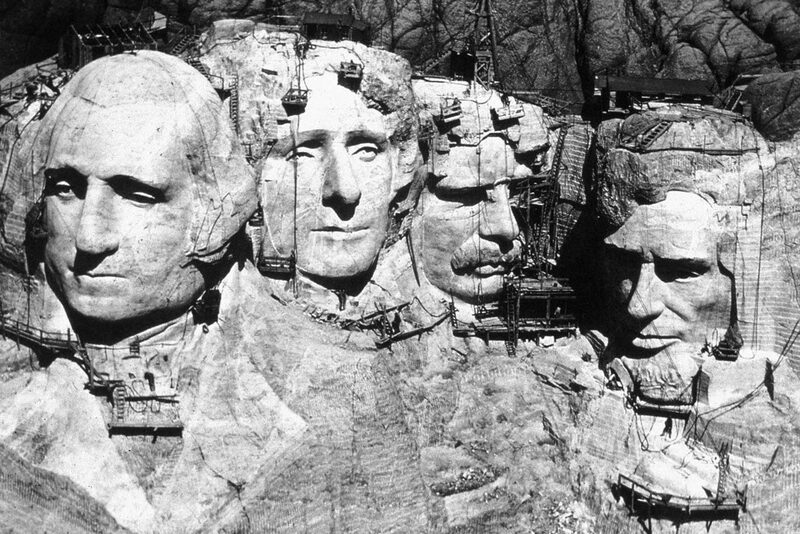 They settled on Mount Rushmore, which also has the advantage of facing southeast for maximum sun exposure, which makes the faces of our presidents stand out in an amazing way. 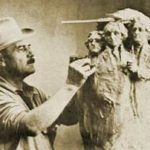 Robinson wanted it to feature American West heroes like Lewis and Clark, Red Cloud, and Buffalo Bill Cody, but Borglum decided the sculpture should have broader appeal and chose the four presidents. 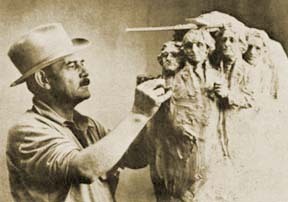 Borglum created the sculpture’s design and oversaw the project’s execution from 1927 to 1941 with the help of his son, Lincoln Borglum. When I think of the years it too to complete the sculpture, I wonder if it was what was expected, or just the way it came down. 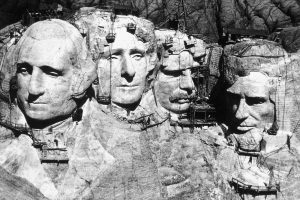 Mount Rushmore features 60-foot sculptures of the heads of four United States presidents…George Washington (1732–1799), Thomas Jefferson (1743–1826), Theodore Roosevelt (1858–1919), and Abraham Lincoln (1809–1865). After securing federal funding through the enthusiastic sponsorship of “Mount Rushmore’s great political patron” US Senator Peter Norbeck, construction on the memorial began in 1927, and the presidents’ faces were completed between 1934 and 1939. 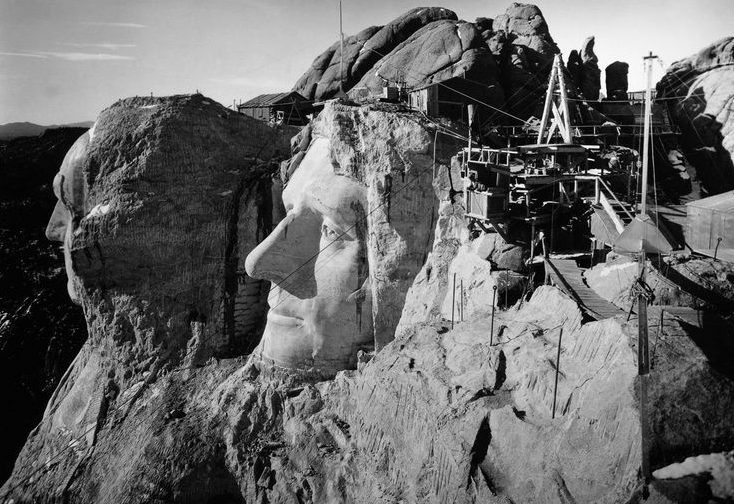 Upon Gutzon Borglum’s death in March 1941, his son Lincoln Borglum took over as leader of the construction project. Each president was originally to be depicted from head to waist. The memorial park covers 1,278.45 acres and is 5,725 feet above sea level, and while the sculpture work officially ended on October 31, 1941, due to lack of funding and the very real possibility of a United States entrance into World War II. Mount Rushmore has become an iconic symbol of the United States, and it has appeared in works of fiction, as well as being discussed or depicted in other popular works. It has also been featured a number of movies. It attracts over two million visitors annually. It’s amazing to me that what started out to be a tourist attraction, quickly became a must see place for every patriotic American. My husband and I love to go to the Black Hills, and with the close proximity to our Casper, Wyoming home, we take a week every summer to go and enjoy the beauty and patriotism that now resides there. 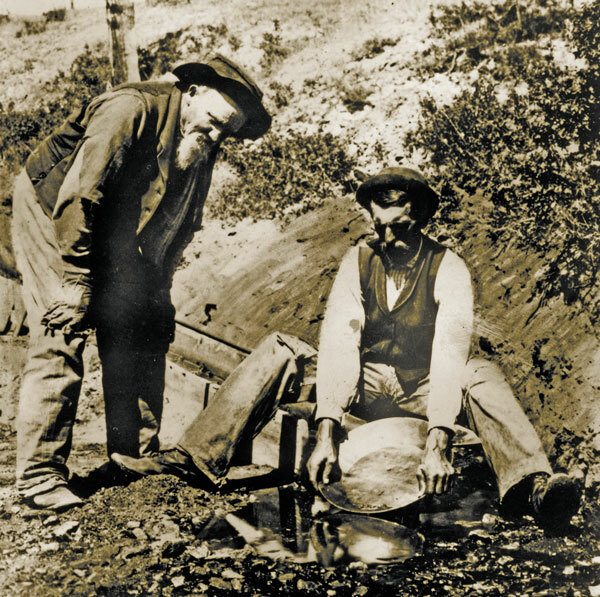 The discovery of gold in the United States triggered massive growth, with towns springing up across the area. Helena, Montana was one of those towns. 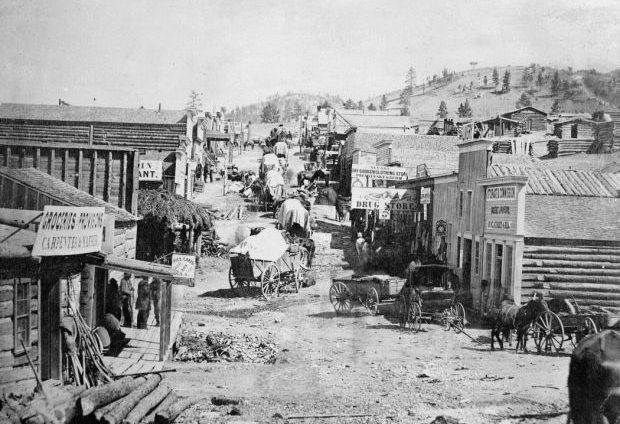 On October 30, 1864, four miners struck it rich at their appropriately named mine, “Last Chance Gulch.” From that discovery came one of the wealthiest cities in the United States by the late nineteenth century…Helena, Montana. While it was once one of the wealthiest cities, the current population of Helena doesn’t really fall in line with the direction the city appeared to be taking in 1864. As of the 2010 census the population is 28,190, making it the fifth least populous state capital in the U.S after Montpelier, Vermont; Pierre, South Dakota; Augusta, Maine; and Frankfort, Kentucky. 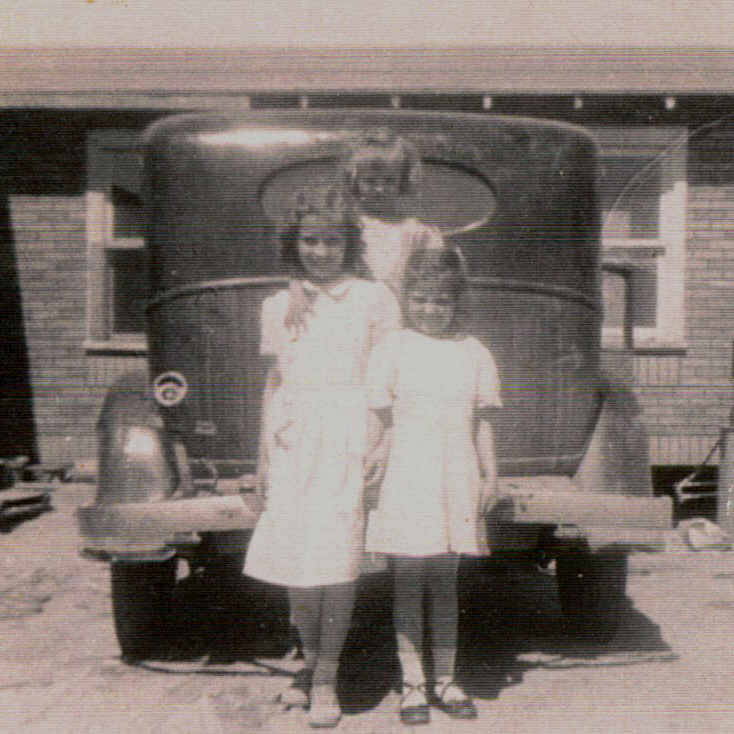 My husband, Bob Schulenberg’s aunt, Marion Kanta, and her family lived in Helena until the time for her passing in 1999, and many of her family members live there still. That said, we visited the capitol city a few times, and found it to be a very nice place. Of course, during the gold rush years, things might have been very different. 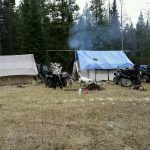 A gold rush town can have a tendency to be a high crime area, and when 3.6 billion dollars worth of gold is extracted in the city limits of a town over a twenty year period, you know that there were people who would like nothing more than to take over the claim of another person, no matter what it took. The first major Anglo settlement of Montana began in the summer of 1862, when prospectors found a sizeable deposit of placer gold at Grasshopper Creek to the west of what is today…Helena, Montana. When other even richer deposits were discovered nearby, a major rush began as tens of thousands of miners scoured the territory in search of gold. 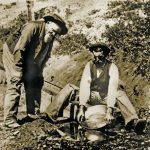 In 1864, four prospectors spotted signs of gold in the Helena area while on their way to the Kootenai country, but they were eager to reach the reportedly rich gold regions farther to the north and did not stop. Then, after striking out on the Kootenai, they decided to take “one last chance” on finding gold and returned. When the signs turned out to mark a rich deposit of placer gold, they staked their claims and named the new mining district Last Chance Gulch. Last Chance Gulch would prove to be the second biggest placer gold deposit in Montana, producing some 19 million dollars worth of gold in just four years. 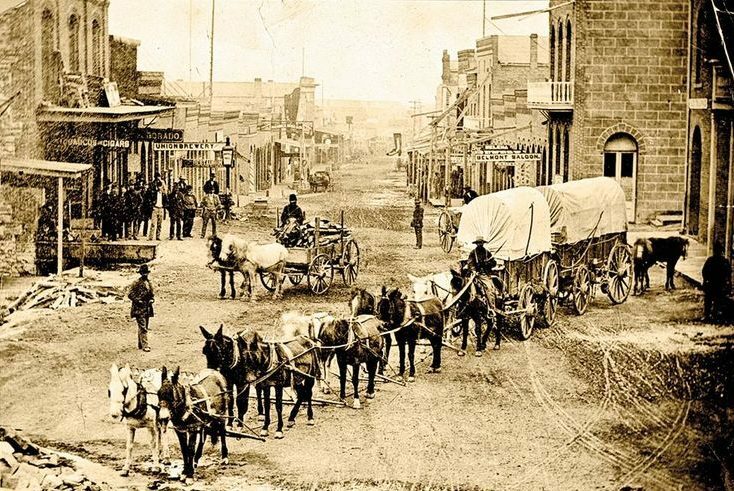 Almost overnight, thousands of miners flooded into the region, and the four original miners added to their fortunes by establishing the town of Helena to provide the new miners with food, lodging, and supplies. But unlike many of the early Montana mining towns, Helena did not disappear once the gold gave out, which was inevitable. Helena was able to survive and grow by serving the wider Montana mining industry, because it was located on several major transportation routes, well supplied with agricultural products from an adjacent valley, and near to several other important mining towns. In 1875, the city became the capital of Montana Territory, and in 1894, the capital of the new state of Montana. I’m sure that many of you remember the movie, Deep Impact, which was about a group of astronauts trying to save the world by deflecting a meteor, so it wouldn’t hit the earth. Robert Duvall played the part of Captain Spurgeon “Fish” Tanner, a retired, and largely considered by the rest of the crew, an “over the hill” astronaut. Nevertheless, in the end, they were glad they had him when it came to completing their mission, even though it did cost them their lives. Of course, the movie was fictional, and not realistic in many aspects, but the part that struck me as cool, was that the retired astronaut got a second chance to be useful in an important mission. However, Captain Spurgeon Tanner wasn’t the only retired astronaut to get a second chance to go into space. 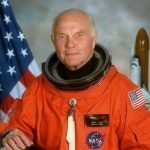 On October 29, 1998, nearly four decades after he became the first American to orbit the Earth, Senator John Hershel Glenn Jr was launched into space again as a payload specialist aboard the space shuttle Discovery. 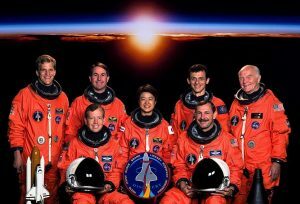 At 77 years of age, Glenn was the oldest human ever to travel in space. During the nine day mission, he served as part of a NASA study on health problems associated with aging. 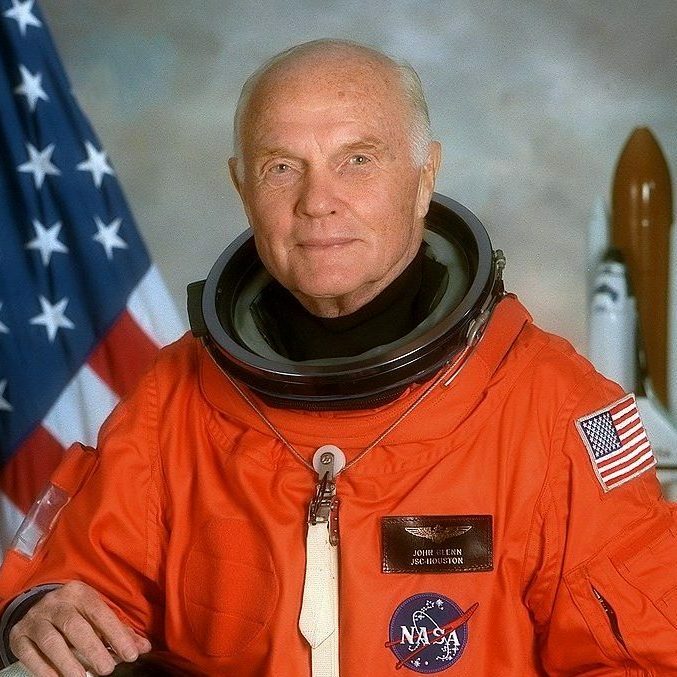 Like our fictional Captain Spurgeon Tanner, Senator John Glenn was useful in space again. He had something that the other astronauts didn’t have…age. 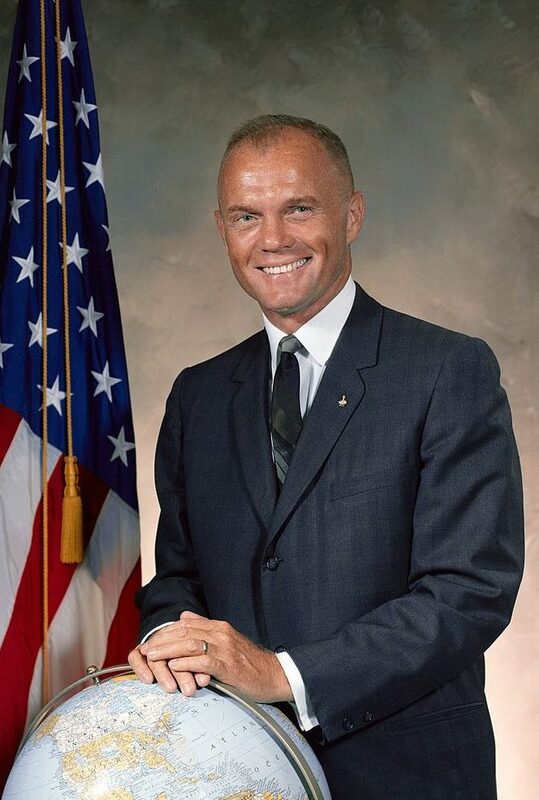 I don’t suppose that the studies done on John Glenn were the saving the world type, but they were real life studies, and that’s important too. John Glenn became famous when he was chosen by NASA in 1959, along with six other men, to be the first American astronauts. He was a lieutenant colonel in the US Marine Corps. A decorated pilot, he flew nearly 150 combat missions during World War II and the Korean War. In 1957, he made the first nonstop supersonic flight across the United States, flying from Los Angeles to New York in three hours and 23 minutes. Then, in April 1961, the American space program suffered a setback of sorts, when Soviet cosmonaut Yuri Gagarin became the first man in space, and his spacecraft, Vostok 1, made a full orbit before returning to Earth. It was a feat that the United States had hoped to achieve first. The United States kicked things into high gear, and less than one month later, American Alan Shepard Jr became the first American in space when his Freedom 7 spacecraft was launched on a suborbital flight. American “Gus” Grissom made another suborbital flight in July. Then, in August, Soviet cosmonaut Gherman Titov spent more than 25 hours in space aboard Vostok 2, making 17 orbits. As a technological power, the United States looked second-rate, compared with its Cold War adversary. If the Americans wanted to dispel this notion, they needed a multi-orbital flight before another Soviet space advance arrived. 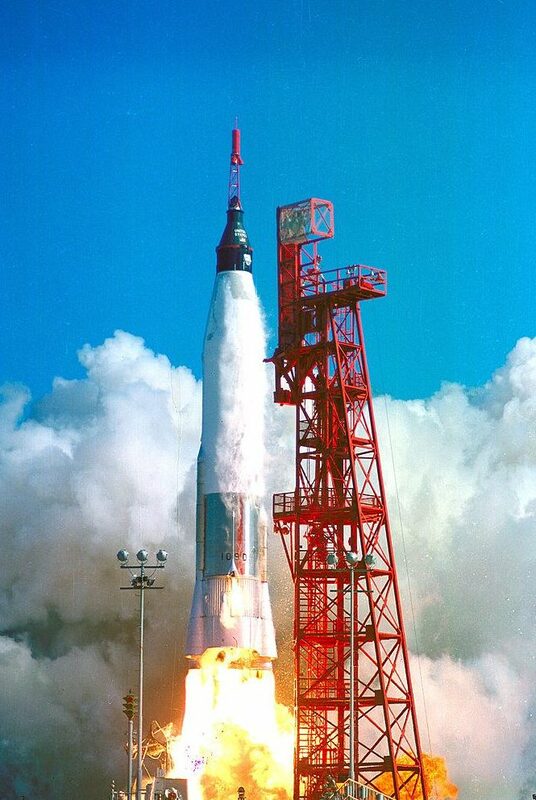 On February 20, 1962, NASA and Colonel John Glenn accomplished this feat with the flight of Friendship 7, a spacecraft that made three orbits of the Earth in five hours. Glenn was hailed as a national hero, and on February 23 President John F. Kennedy visited him at Cape Canaveral. Glenn later addressed Congress and was given a ticker-tape parade in New York City. It was at this point that NASA made the unfortunate decision not to risk the life of the now famous Glenn by sending him into space again. NASA essentially grounded the “Clean Marine” in the years after his historic flight. Frustrated with this uncharacteristic lack of activity, Glenn turned to politics, In 1964, he announced his candidacy for the US Senate from his home state of Ohio and formally left NASA. Later that year, however, he withdrew his Senate bid after seriously injuring his inner ear in a fall from a horse. In 1970, following a stint as a Royal Crown Cola executive, he ran for the Senate again but lost the Democratic nomination to Howard Metzenbaum. Four years later, he defeated Metzenbaum, won the general election, and went on to win re-election three times. In 1984, he unsuccessfully sought the Democratic nomination for president. His really big claim to fame would once again come from NASA, which seemed to be his destiny after all. 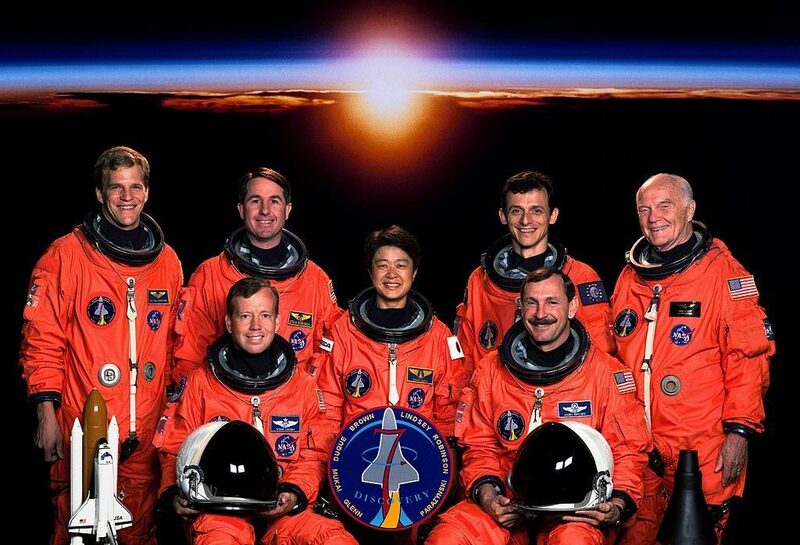 In 1998, Glenn attracted considerable media attention when he returned to space aboard the space shuttle Discovery. In 1999, he retired from his US Senate seat after four consecutive terms in office, a record for the state of Ohio. While his years in politics were much longer, he will always be remembered for the two historic flights he made into space. 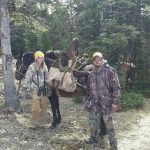 When you are a part of an outdoorsy family, things like hiking, horseback riding, camping, and hunting are second nature. The funny thing is that growing up, my niece, Susan Griffith really didn’t seem that type to me. In fact, Susan grew up being a city girl, not a country girl. 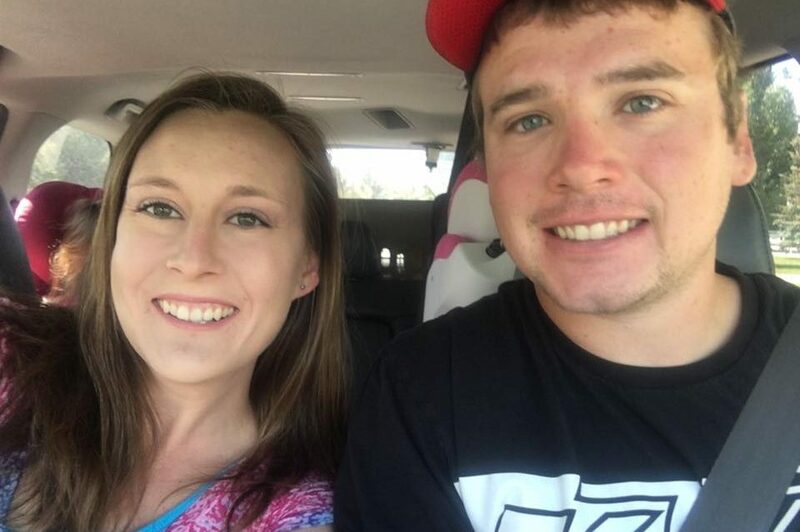 All that changed when she and her husband, Josh moved to the country, outside of Powell, Wyoming. Since then, Susan has thrived on every aspect of the country life. 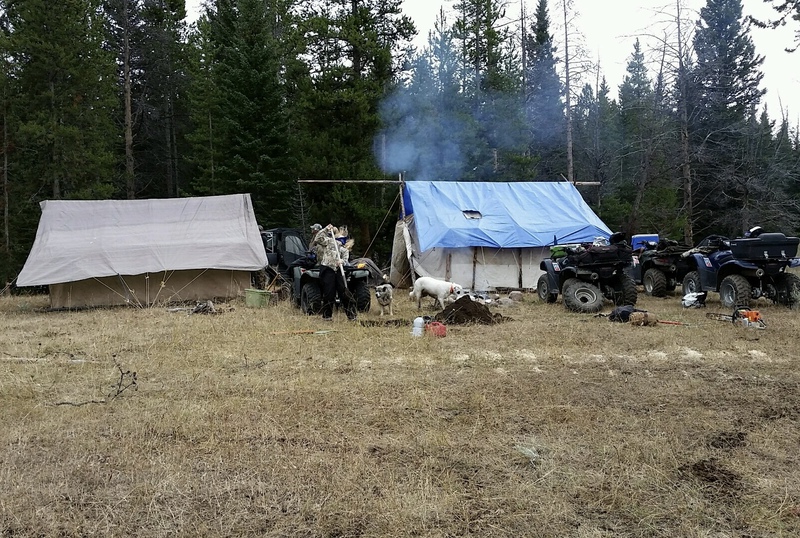 Together they ride horses, go camping as much as they possibly can, go fishing, and hiking. Susan has told me that if they could, she and Josh would live in the mountains, but of course, that wouldn’t really work well for their girls, because kids need to be in school, with their friends, and their activities. 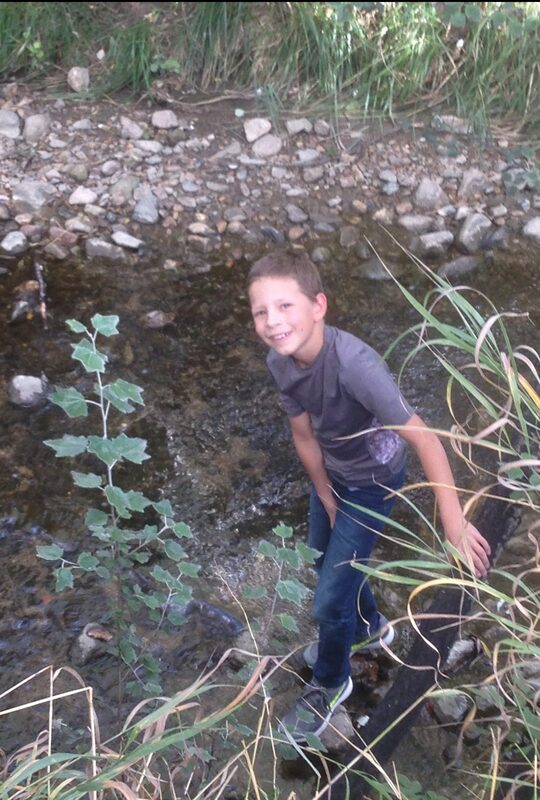 So, I guess that living in the mountains will have to come after their girls are grown up and living on their own. Susan and Josh are great parents. They are raising their girls to be strong, capable young ladies. Of course, they encourage the girly things, but they have also shown them the other side of things. They go hunting, and have taught their older daughter, Jala to hunt too. Kaytlyn’s turn will come when she gets a bit older. 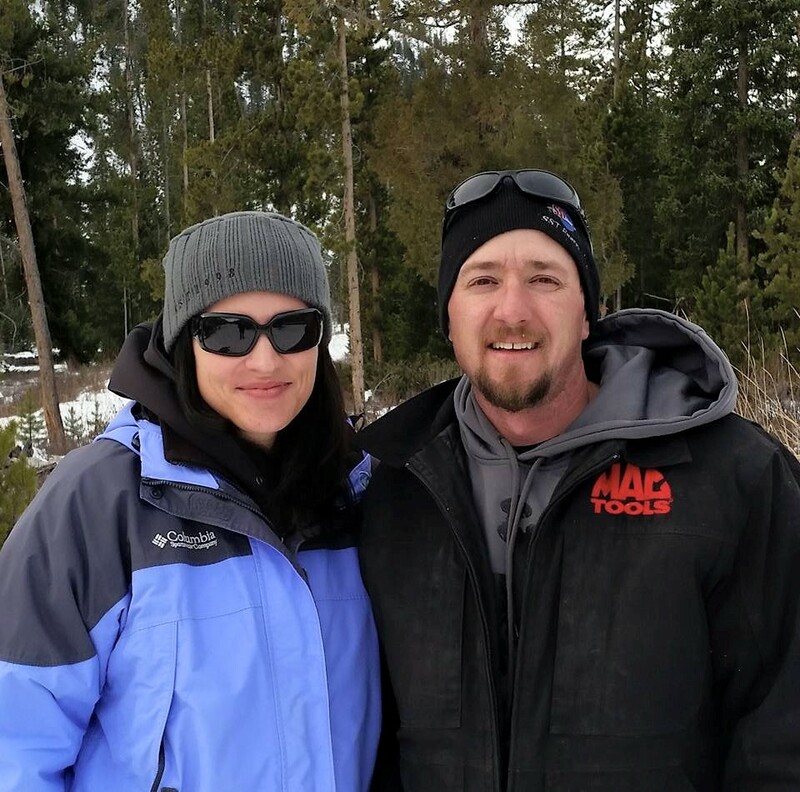 Going hunting has helped to fill their freezer with meat, and saves money on the food budget. 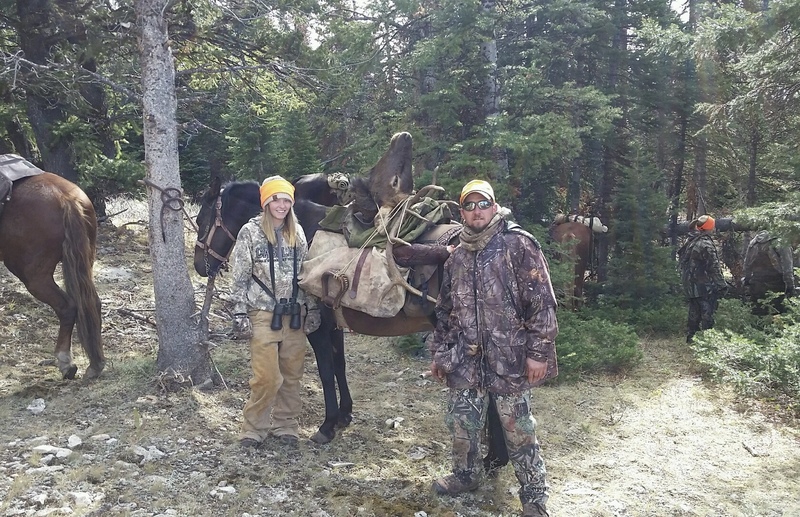 So far this year, both Josh and Jala have shot their elk, but Susan has yet to get hers. With that in mind, this weekend is going to be a birthday hunting weekend, and I hope Susan has a successful hunt. Susan has felt like she is living a dream life ever since she and Josh met. She and Josh are so happy with the life they have built together. Josh has helped Susan expand her horizons so much. Some of the things she was skeptical about, like 4 wheelers, are no longer an issue for her. 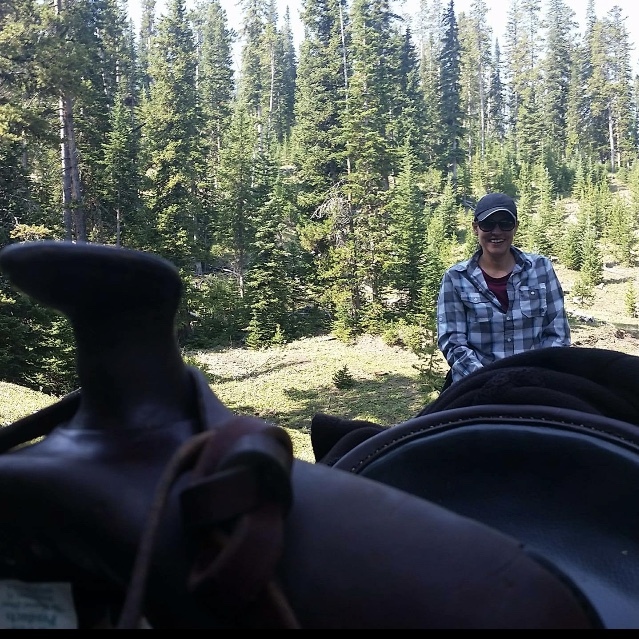 She is confident and capable, and she loves horseback riding, which they started to help her get over her fear of 4 wheeling. I guess it was just something about being out there with no car around you for protection, which makes sense to me, since I’m not a motorcycle/4 wheeler fan myself. Susan has, in many ways, become a completely different person since she met Josh. She is feeling blessed, and loving every minute of it. Today is Susan’s birthday. Happy birthday Susan! Have a great day and a great hunt!! We love you!! 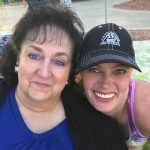 My niece, Dustie Masterson is my sister, Cheryl Masterson’s only daughter-in-law, but she really seems more like Cheryl’s daughter to all of us. She fits in the family so well, that it’s like she has always been a part of it. 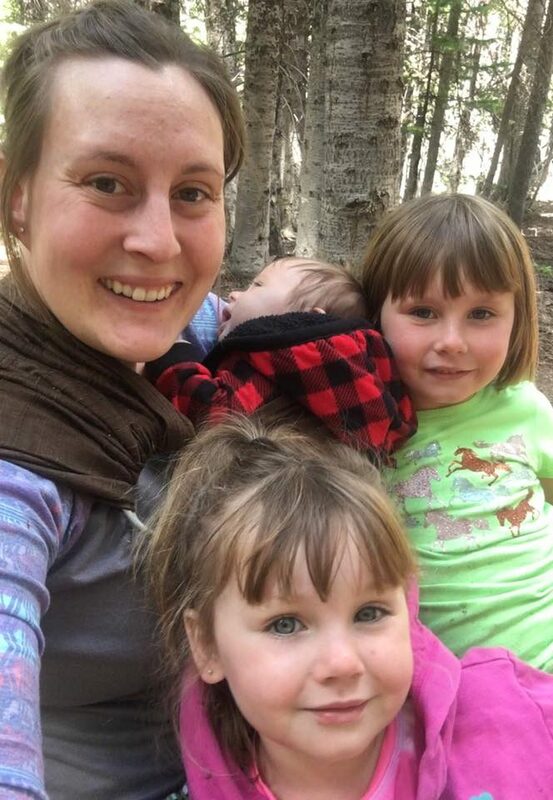 She and her sisters-in-law, Chantel Balcerzak, Toni Chase, Liz Masterson, and Jenny Spethman, seem to have a great comradery, and whenever I see them, they are always laughing and joking around. 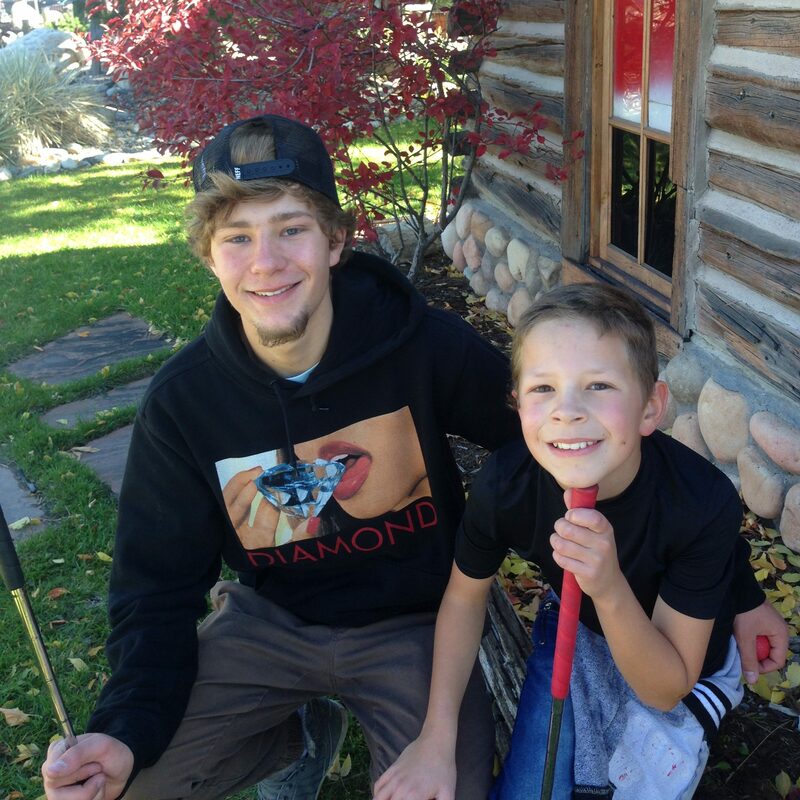 For our family, Dustie was my nephew, Rob Masterson’s match made in Heaven, and of course, he feels that way too. Theirs is a close, loving relationship, with a heaping portion of joking, teasing, and much laughter. Dustie is such a sweet, loving person, and so patient too. 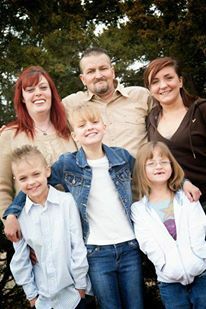 She works with her children, Raelynn, Matt, and Anna to make sure they do well in their studies. With the encouragement of their parents, they are all good students, who like school. Dustie is also very good with her nieces and nephews. She and my grand niece, Aleesia Spethman have a very special relationship. They are good friends, but Aleesia knows that Dustie is likely to tease her too. They have spent quite a bit of time around each other, so even at 5 years old, Aleesia pretty much has Dustie figured out. Dustie recently changed jobs, and now instead of working at Albertsons in the fresh cut produce department, she is at Sam’s Club, and she couldn’t be happier. Her work includes cashier and she has her own department to take care of too. Plus, she has the added benefit of having her husband, Rob working at the same store, but in a different department. Nevertheless, they can drive to work together…occasionally. With the hours at Sam’s Club, they don’t always work the same shifts. I think that one of the best aspects of Dustie is her curiosity…the drive to know more. Dustie loves documentaries, a love we share. She thrives on history, and I do too. I suppose it is the “mouse in the corner” aspect of it, in that we would both love to be that inconspicuous observer sitting in the corner watching as the events unfold. To be able to watch great historic events as they happened…in real time, would be of great interest to both of us. Dustie also likes to watch documentaries about how things work. The intricate functions of amazing inventions, as well as things like the weather and how it affects things around it. It truly is quite simply curiosity, and it is an aspect of Dustie’s personality that she has honed to perfection. Today is Dustie’s birthday. Happy birthday Dustie!! Have a great day!! We love you!! 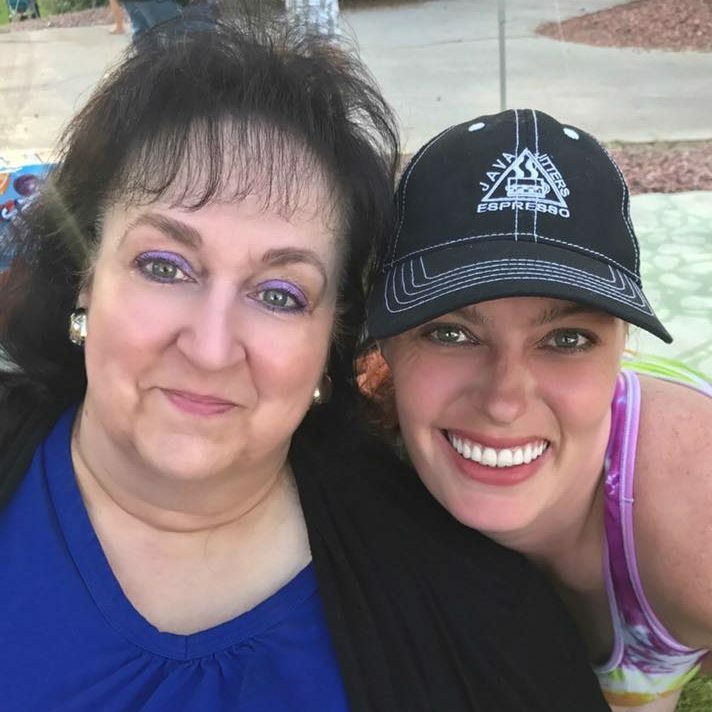 Over the past few years, my aunt, Sandy Pattan and I have found that we have some things in common…besides the fact that we are related. 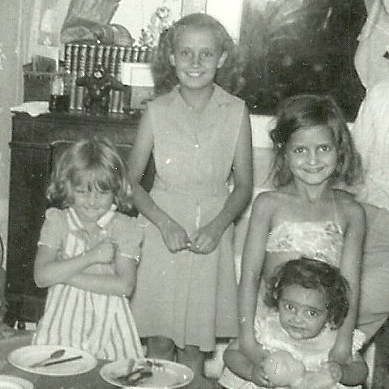 One of the most interesting things to me is a mutual love of the family history. All her life, Aunt Sandy has been listening. She listened to the stories her parents, aunts, and uncles told her about the family. She, like me, could picture it all in her head, as if she were standing there watching the whole thing. She could picture the Indian chiefs that her grandfather and her dad, not only knew, but were even respected by, in a time when the Indians and the White Man didn’t necessarily get along. It was a time that she and I could never relate to, were it not for the stories of her parents, my grandparents. And now…in their honor, Aunt Sandy is passing along the history she received from her parents, so that the family history will not fade away. I think that is the reason that she and I love the family history so much. It is like the blood that flows in our veins, a part of our DNA, it is our story, because we came from our ancestors, and their past experiences shaped their lives, and therefore, our lives too. Aunt Sandy is a loving, caring person. 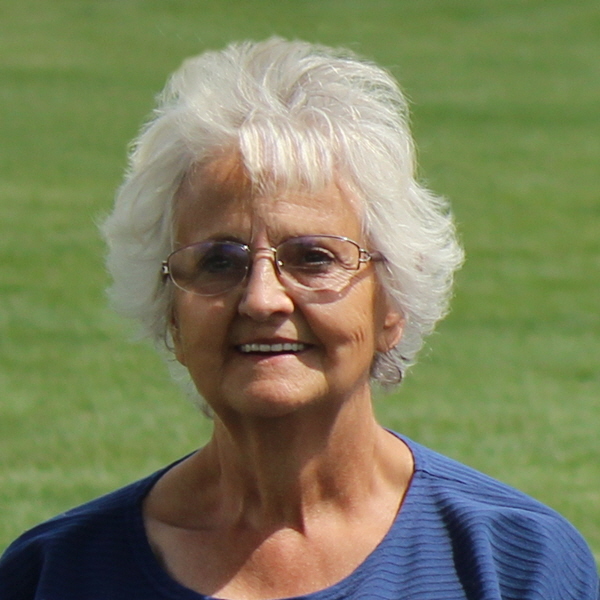 She is quick to do nice things for others, like taking her sister, my Aunt Virginia Beadle to brunch after church on Sundays; or picking my mom, Collene Spencer up, when she was still alive, to go to get togethers with their siblings. Being the youngest of nine children, Aunt Sandy is still able to drive, while some of the siblings aren’t…or weren’t. Of the original nine siblings, only five remain. That is a fact that weighs heavily on Aunt Sandy, and the remaining siblings. I suppose that is partly why she tries to spend as much time as she can with those who remain, and I understand that train of thought. She doesn’t want to waste the time she has left with her siblings. That shows a great degree of not only wisdom, but a deep love for her siblings. Aunt Sandy is a deep, logical thinker too. I think that is one of many reason that we connect so well. I love our conversations, whether they are about family, politics, or just general interest, because she has amazing insight to so many issues, as well as a great sense of humor. Of course, being the humble person she is, Aunt Sandy would most likely disagree with me when it comes to her amazing mind, but as I have said before, “I call ’em as I see ’em.” Aunt Sandy has a wide range of interests, as do I, and that is part of what makes or conversations so interesting. I feel very blessed to have Aunt Sandy in my life. Today is Aunt Sandy’s birthday. Happy birthday Aunt Sandy!! Have a great day!! We love you!! 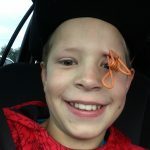 My nephew, Tucker Birky is a funny guy. Being funny comes naturally to Tucker, so much so, that often he doesn’t even realize that he’s being funny. Making people laugh is just a skill that Tucker seems to have been born with. 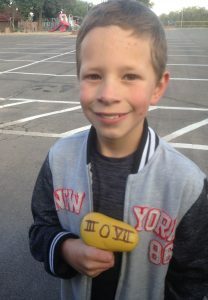 He loves his mom, Rachel Schulenberg, and his step-dad, Ron, and considers him to be is dad. Tucker loves to make his mom laugh every day. He always wants to leave her with a smile on her face, and in her heart. Tucker reminds me a little bit of my daughter, Amy, who used to stick a Chiquita banana sticker on her nose to make us laugh. Tucker has taken that one step further, making funny faces, and even putting a chip clip on his eyebrow. Now I don’t know if that hurt or not, but Tucker smiled right through it. 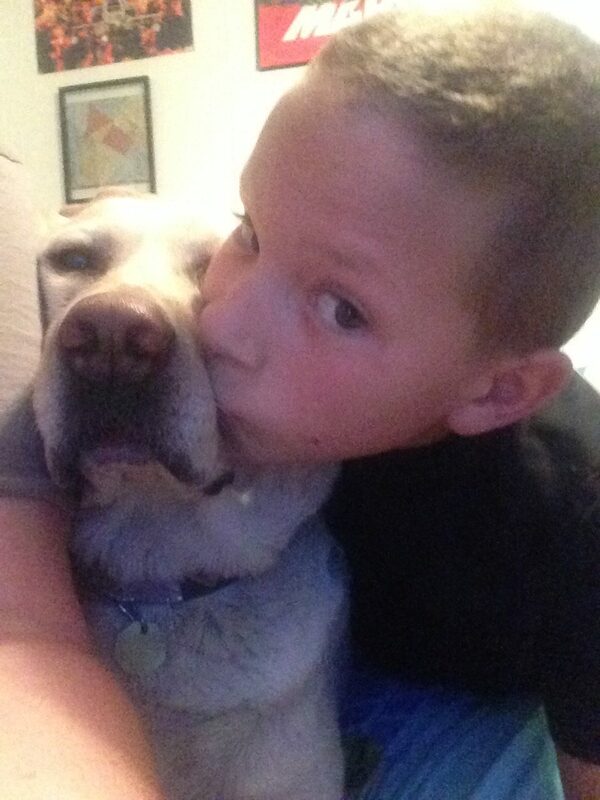 Tucker also has a kind side. Every morning, he tells his mom what a great mom she is. It is such a precious thing to get up in the morning and have your child tell you that they couldn’t ask for a better mom. 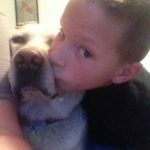 Tucker knows that his mom misses his older brother, Riley, who is in Guernsey, Wyoming right now, and he misses him too, so it’s important to help lift his mom’s spirit, and Tucker senses that instinctively. Of course, that isn’t the only reason he tells her that she is a great mom. The main reason is simply because she is. 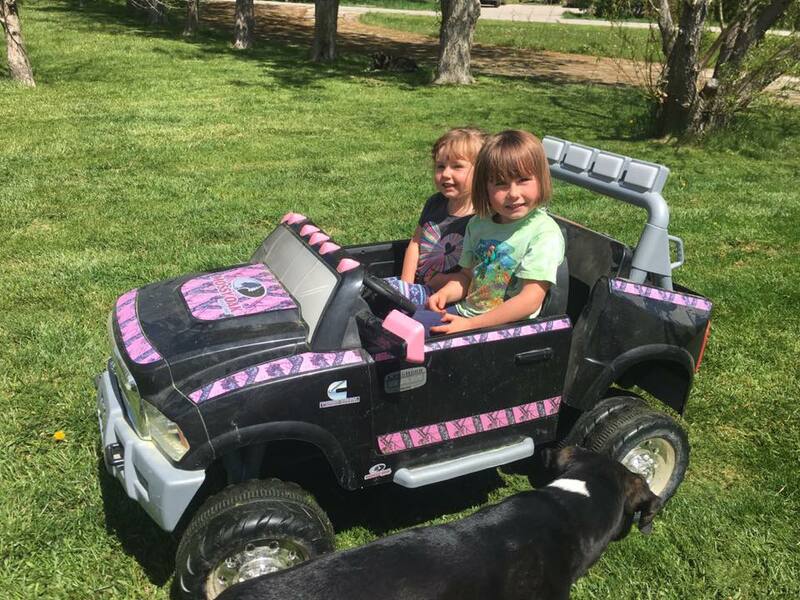 Tucker also knows that his mom misses his older sister, Cassie; her husband, Chris; and their children, Lucas and Zoey, who live in Powell, Wyoming. That said, Tucker is the only kid who is with her right now, and his kind heart is just what Rachel needs to make her smile. Tucker is a busy guy. He is a straight “A” student. He takes piano lessons, and is getting quite good at playing and has recently memorized his next piano piece. Nevertheless, school isn’t all Tucker likes to do. 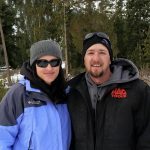 He loves to ride his bicycle and motorcycles on their property in the country. He loves his animals, and snuggling up with his dog to watch television. Tucker misses his brother, and an uncle who doesn’t live here. Tucker also loves to hang out in his dad’s shop, and help him work on things. He and Tucker are very close, and they work well together. Ron is teaching Tucker the ropes of mechanic work, which is an important thing for every young man to know. In the years since Ron and Rachel have been married, I have watched Tucker grow into an amazing young man. Today is Tucker’s 10th birthday. Happy birthday Tucker!! Welcome to double digits!! Have a great day!! We love you!! 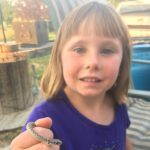 When I asked my niece, Ashley Parmely to give me some insight about her daughter Reagan, her first words were…”Oh Reagan!” She was not meaning that Reagan was frustrating, annoying, or anything like that. The comment was rather like a reflection on the essence of her daughter’s personality. Reagan is a complex little girl. As her mother said of her, “She is so, so smart, smarter than me. She is always pushing me to be better.” Being the oldest, she has a way of being a “little mom” to her younger siblings…sister, Hattie and brother, Bowen. She loves to help her mom with the younger kids, and she is so kind to them. 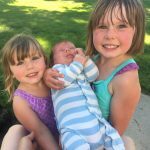 Reagan’s love for her siblings is a beautiful thing to watch. She doesn’t want them to get hurt or be sad, and she does whatever she can to entertain them, which is also helpful to her mom. Her baby brother, Bowen is her new favorite “responsibility.” She loves to pick him up and carry him around, and just love on him in general, but then who can blame her, because he is after all, soooo cute!! Reagan also loves her parents very much. 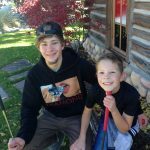 Since her daddy, my nephew, Eric is sometimes out of town for work, she tries to spend as much time with him as possible when he’s home. She loves to snuggle up and hang out with him. 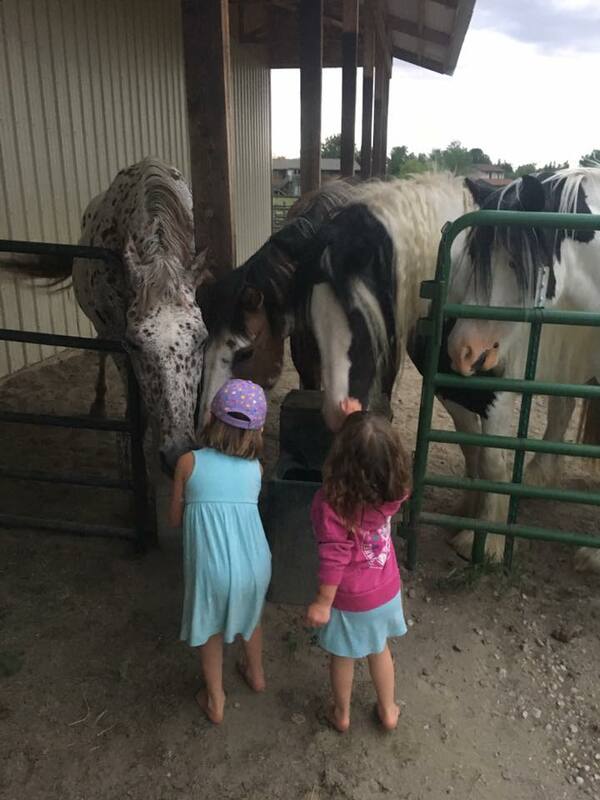 Reagan is becoming quite a farm hand. 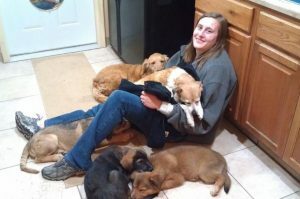 She loves their animals, and feels a deep sense of responsibility for them. This makes her a very grown up little 5 year old. She helps to clean out the stalls, and carries 3 to 5 pound flakes of hay, that are usually 2 feet by 2 feet and about 6 inches deep, to feed them. Now, if you’re like me, you probably don’t know what a flake of hay is. It is a section of the original hay bale that breaks away and can be taken to the animal for its dinner. Reagan is not afraid of hard work, and often works very hard alongside her parents or grandparents. And Reagan isn’t afraid of anything, but thankfully she is wise enough to make sure a snake is safe before she decides to be friends with it. With all of her grown up qualities, it can be hard to believe that Reagan is, nevertheless, a little girl of just 5 years today. She loves to ride her bicycle, and drive her little motorized car, which she is very good at steering, by the way. 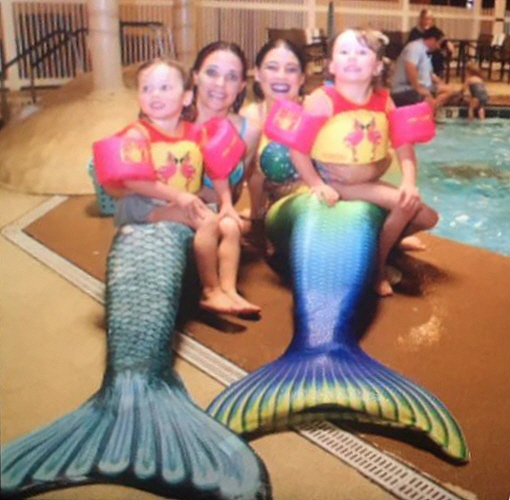 She knows that mermaids, Anna and Elsa are real because, as she says, “I met them!” You see, she recently had her birthday party, and she got to swim with the two mermaids. 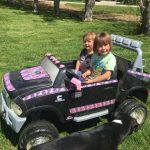 An awesome time was had by all the children, but especially Reagan and her little sister, Hattie. Reagan has a funny side, and she keeps her family laughing all the time. While she doesn’t really like it when her parents tease her, Reagan is learning to recognize teasing, and not to take her parents too seriously. At least, she doesn’t usually cry anymore when they say things like “no we aren’t taking you in with us to dinner we are meeting our other kids.” She just rolls her eyes and tells them, “I do not like it when you tease me.” Reagan is a tough girl. If she gets hurt, she always does her best not to cry and to be tough, but she does have a girly side too. She got her ears pierced two years ago, and just got to start changing her earrings out. That’s a big event, and she is so excited to finally be wearing rainbow hearts. Today is the amazing Reagan’s 5th birthday. Happy birthday Reagan!! Have a great day!! We love you!! My niece, Ashley Parmely, who joined our family when she married my husband’s nephew, Eric Parmely in 2011, is a girl of many talents, and amazing patience. When Eric first brought her to meet us, we liked her instantly, and then as we watched their pictures on Facebook, we could see that Ashley was raised in the country with horses. I thought that was cool, but that was really the tip of The Ashley Iceberg. Ashley loves all things country living. She loves all the animals, from chickens to ducks, from goats to horses, and of course, you have to throw in cats and dogs, but lots of people love animals. 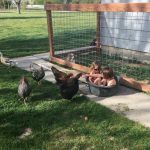 Ashley takes that one step further, in that she works hard to help her animals have babies, because that is a great way to grow your farm…and after all, babies are great, and according to Ashley, it doesn’t matter if they are human or animal. Yes, all babies are great, and Ashley loves each and every one of them. And speaking of babies, Eric and Ashley have three of their own…daughters, Reagan and Hattie, and son, Bowen. If Ashley’s life wasn’t full before, putting three children in the mix has filled her home with love and laughter. Ashley is such a great mom. 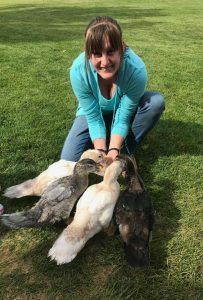 She is patient and loving with the kids, and they are well behaved little sweethearts, who have great imaginations, and who aren’t afraid of hard work…even if it’s cleaning up after the animals. 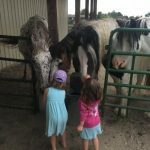 These kids will be capable country kids who share their parents’ love of animals and don’t mind the work that goes along with it. When children are raised around animals, they naturally develop a love for them…they are like family. 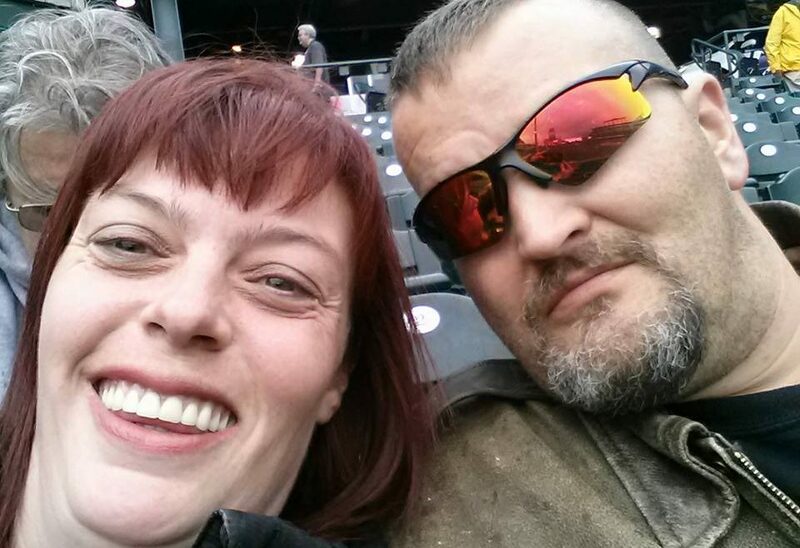 Ashley is passing on the things she grew up with, and the family, including her husband, Eric, are thriving on it. Some people just seem to love country living, and for Ashley, it is just the tip of the iceberg. Nevertheless, with all the love in her home, I’m surprised the iceberg isn’t melting, but there’s still more to it. Sometimes, I have to wonder if Ashley’s life is largely chaos, and I’m sure that sometimes it really is, but Ashley is such a patient person, and somehow, I think she thrives on the chaos around her. It’s almost like having so many babies is like having a house full of love…even if only three of the babies are human. As I said, for Ashley, babies are babies. And Ashley, like an iceberg, is not just what you see on the outside, but is rather a deep person with many talents, that she is sharing with her family, and what a blessing that is. Today is Ashley’s birthday. Happy birthday Ashley!! Have a great day!! We love you!! Growing up with the last name of Spencer, I have always been aware that I was related to the Spencers in England, including Princess Diana, her sons and grandchildren, as well as Winston Spencer Churchill. Of course, these relationships were on the Spencer side of my family, but recently, I have been stumbling upon, or in reality, tripping over royalty of the Pattan side of my family, as well as more direct ties to the English throne on the Spencer side of the family. 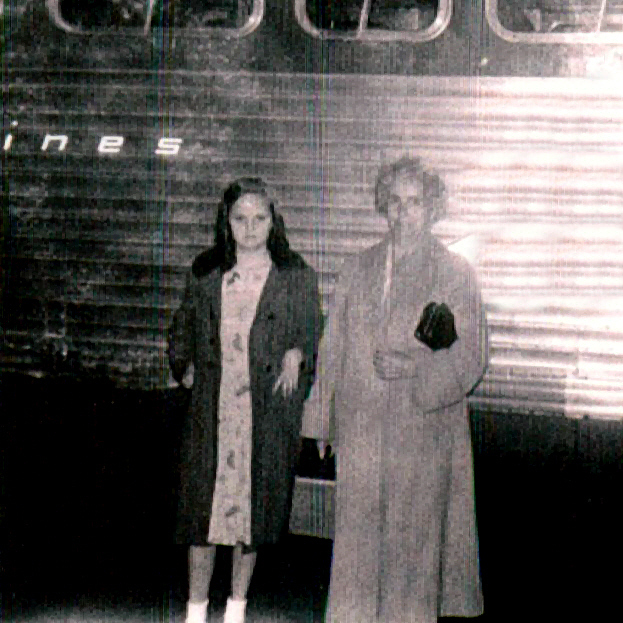 When I spoke to my Aunt Sandy Pattan about the king connection of the Pattan side, she said that she knew of Queen Victoria, who I had not found yet, by the way, but she was unaware of the kings in the family line, and was very surprised about where they came from…not the family background, but rather the global locations. 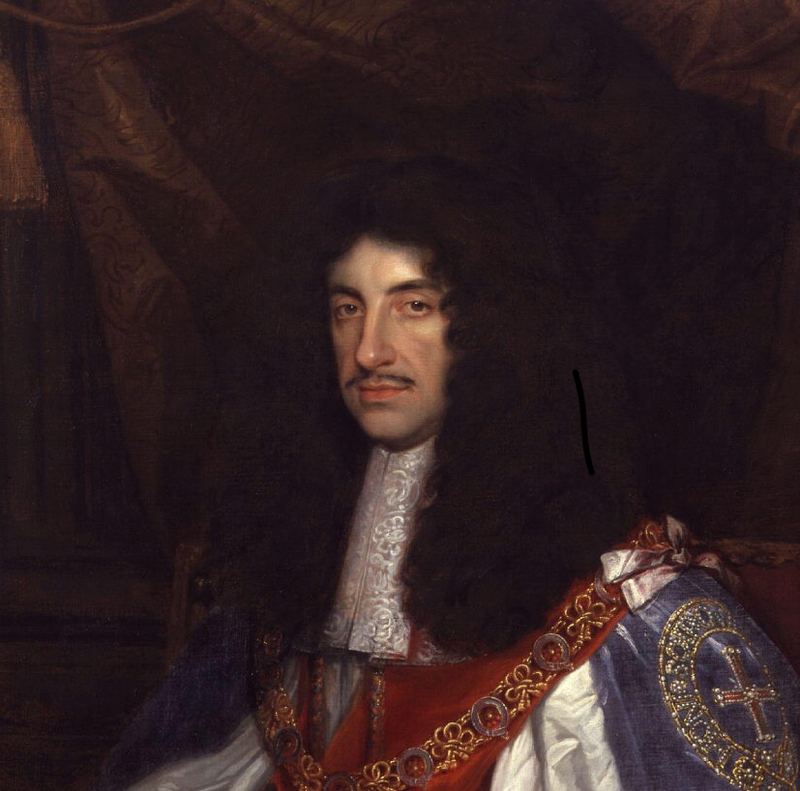 The first one to show up was King Charles II of England, who is my 1st cousin 11 times removed. King Charles was actually the king of Scotland from January 30, 1649 to September 3, 1651, and then king of England, Scotland, and Ireland from May 29, 1660 until his death on February 6, 1685 from a stroke. 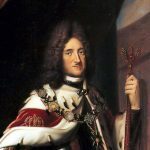 The next king to show up was King Frederick I of Prussia, who was my 2nd cousin 10 times removed. 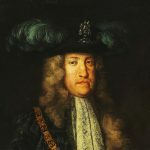 He was king from January 18, 1701 until his death on February 25, 1713 in Berlin. 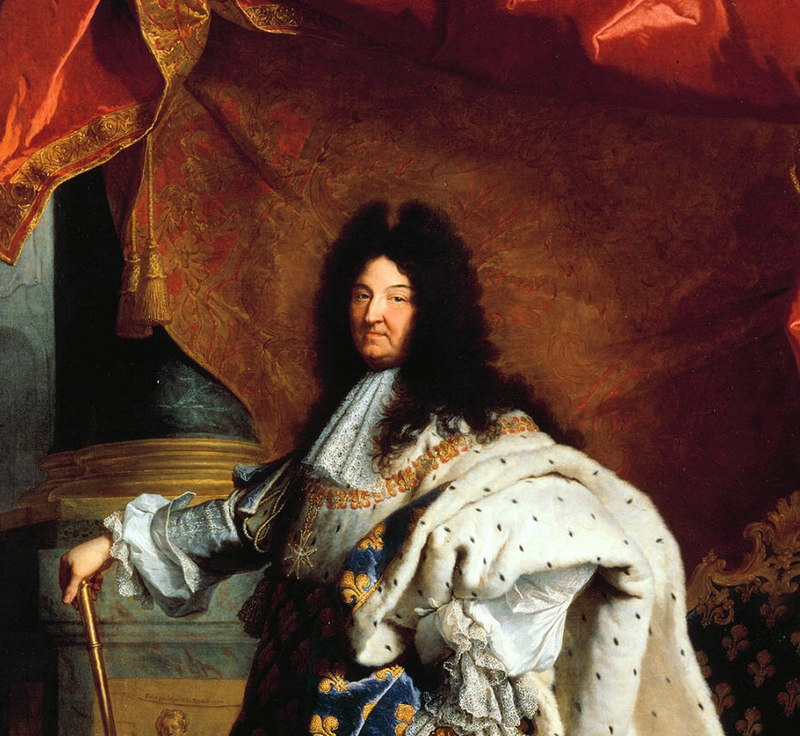 Next came King Louis XIV of France, who is my 3rd cousin 10 times removed. He was king from May 14, 1643 until his death on September 1, 1715 of gangrene. The next king to show up was King Frederick William II of Prussia, who is my 4th cousin 7 times removed. He was king from August 17, 1786 until his passing on November 16, 1797 in Potsdam, Germany. 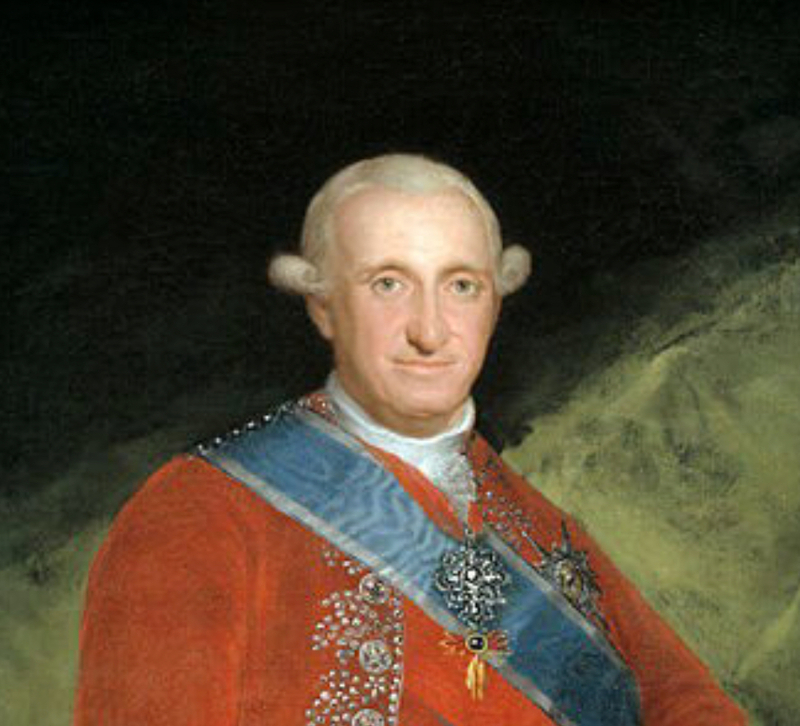 The next king was King Charles IV of Spain, who is my 4th cousin 6 times removed. 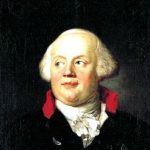 He was king from December 14, 1788 to March 18, 1808. 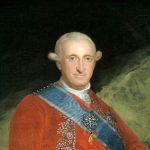 He did not end his reign upon his death, but rather, riots and popular revolt at the winter palace in Aranjuez, forced him to abdicate to his son, Ferdinand VII. He died on January 20, 1819 in Palazzo Barberini, Rome. The next king to present himself was King Louis XVI of France, who is of course, related to an earlier king. 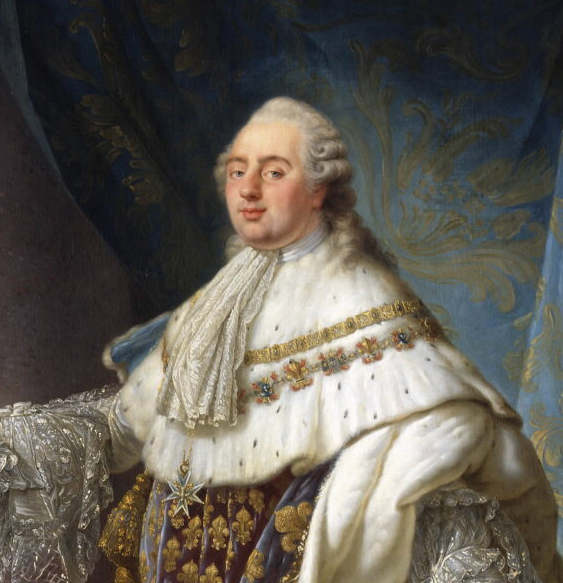 King Louis XVI is my 4th cousin 6 times removed. He was king of France from May 10, 1774 to September 4, 1792, and oddly King of the French from September 4, 1791 to September 21, 1792. On August 13, 1792, an angry mob tried to kill the queen, thinking that she was too frivolous, but decided to go after the king instead. He tried to flee with his family to Paris, but was captured on August 13, 1792, and imprisoned. His titles were stripped from him on September 21, 1792. He died on January 21, 1793 by execution on the guillotine at just 38 years of age. Finally came Charles VI, Holy Roman Emperor, who is my 4th cousin 9 times removed. He was emperor from October 12, 1711 until his death on October 20, 1740, following a hunting trip on which he consumed a meal of poisonous death cap mushrooms. I thought that finding out that my mom’s family was related to so many kings, and even an emperor, was going to be the most shocking thing, but for me, I think the most shocking thing was the way that some of these kings died. It showed me that the times that these kings lived in were not only dangerous in that many of the health issues that are curable now, weren’t back then. But more shocking for me was that fact that kings were sometimes no more safe than anyone else. To accidently eat poison mushrooms would be a horrible death, and I can’t imagine going through that, but to be executed by guillotine is one of the most gruesome things I can think of, and that was not totally uncommon back then.